Did you miss these two important articles from The Broadcast Bridge? The first of two articles presents a white paper examining how software-centric T&M can help keep test equipment up-to-date on the latest standards and technologies. The second article reviews how 1-inch lens technology is overtaking the global pro camcorder market. 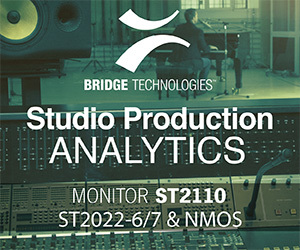 Benefits of Software-Based Content Monitoring stems in a requirement to constantly update the testing of new decoders, and transmission equipment. Software-centric monitoring systems can be updated with suitable software plug-ins. With the ever-growing power of CPUs in physical server platforms or in cloud deployments, there is no need for the costly deployment of special purpose, proprietary hardware to handle advanced encoding formats. Also, custom monitoring functions specific only to a single service provider can be easily accommodated with custom plug-ins. The global pro camcorder market is currently undergoing the largest shift in dynamic since the introduction of the large sensor product in 2010. The 1-inch sensor segment is gathering significant momentum in the global pro camcorder market. 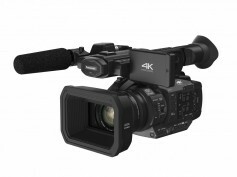 These relatively low-cost camcorders have been able to satisfy two crucial trends, the desire for 4K acquisition and demand for bigger sensors in fixed lens camcorders. The technology should account for 27% of worldwide sales in 2017. Need help in getting from SDI to IP? See that hill up ahead? It’s not a hill, it’s Mt Everest and your job is to conquer that mountain. 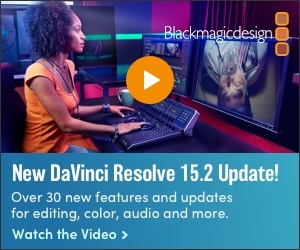 Rendered into familiar industry vernacular, you, video engineer, are charged with building an IT-centric facility. A SMPTE standard was just approved, so what’s taking you so long? The book, “Building IP Media Facilities – Keys to Migrating from SDI,” is a video engineer’s guide to transitioning from digital SDI infrastructures to IT-centric facilities. The book is comprised of 15 chapters focused on key operational aspects of IT and IP terminology, networks and ‘how-to’ practical discussion. Learn from this important guide. Click here for more information.